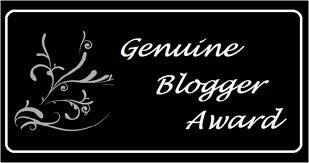 My First Blog Award! Yay Me! I'm super ecstatic and truly honored to say that I've received my very FIRST blog award! I want give a HUGE thanks to Hamza for giving me this award. It definitely gives you an ego boost and makes you feel appreciated . Thanks again so much Hamza, you rock! Secondly thank you so much kiran and thank you who read this blog, thank you VERY much! I also have to thank the Within My World blog for passing the award and for being a Life for Rent reader! This was a big surprise! 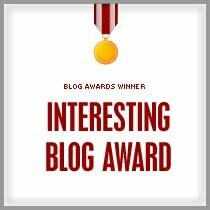 As you know, I’ve only been blogging for a couple of months and the award is a very welcome incentive to keep blogging! If you’re a fellow blogger, you know it’s hard work! I love reading your comments and commenting back! “Nice people have nicer Blogs. There are no two opinions about that. Go and see what makes her blog "Interesting"